Green, wormlike moth caterpillars find ample food and shelter in oak trees (Quercus spp.). 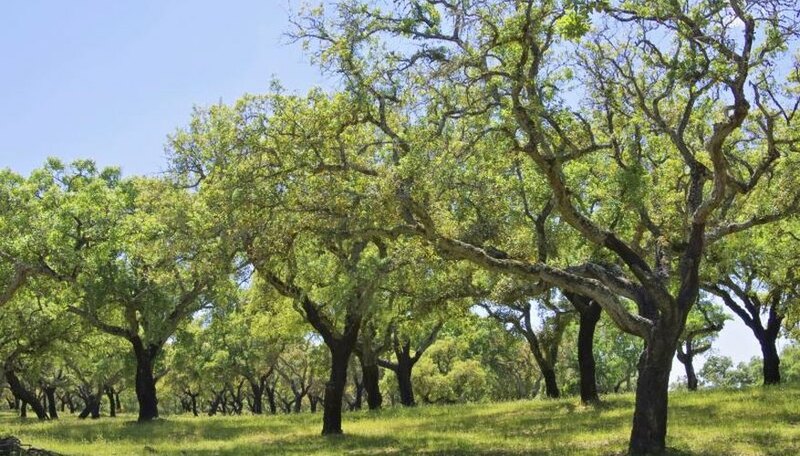 With some oaks growing more than 80 feet high and providing shade to your landscape for 100 years or more, the potential loss of an oak tree to caterpillar damage is disturbing. Don’t worry. Oaks, which grow in U.S. Department of Agriculture plant hardiness zones 3 through 10, easily bounce back from a season of mild or moderate defoliation. Using sticky silk, the larvae of several species of tortricid moths roll up oak leaves creating a hiding place to feed undisturbed from predators. Depending on the species, these green caterpillars range in size from 1/2 inch to 1 inch long and have tan, brown or black heads. As the caterpillars feed, oak leaves become shredded or skeletonized. Parasitic wasps, lacewings and birds are predators of leaf rolling caterpillars and help to keep pest populations low. Named for the way they move, loopers, or inchworms, are green, slender caterpillars of geometrid moths. Common looper pests of oak include spring and fall cankerworms. These creatures eat small holes in oak leaves. Over time, the holes combine until there is nothing left but the central vein of the leaf. Natural enemies, particularly parasitic wasps, usually control looping caterpillars. Since adult female cankerworm moths are wingless, placing sticky tape around the trunk of your oak will trap and kill the pests. Oaks are resilient trees and easily withstand some caterpillar damage. If the population of green worms grows and you are concerned about the amount of defoliation, keep your oak healthy with good watering and fertilization. For mild or moderate problems, water the tree frequently throughout the growing season. Use a soil sampler tube or dig a small hole about six inches deep to check for moisture around the dripline of the oak, not near the trunk. Soak the soil if necessary. Severely damaged trees need added fertilizer. Use a balanced fertilizer with equal parts nitrogen, phosphorous and potassium and apply it along the dripline of the tree. Use one pound of fertilizer for every inch of the tree's trunk diameter. When natural predators can’t keep up with green worms on your oak, you might need a more aggressive control measure. Bacillus thuringiensis var. kurstaki, a natural soil bacterium available at garden retailers, targets caterpillars without harming plants and other animals. Mix 4 teaspoons of Btk in 1 gallon of water. Using a garden or hose-end sprayer apply the solution at the first sign of small caterpillars or feeding damage. Regularly shake the sprayer while applying, making sure to cover all of the foliage. Protect your eyes and clothing and avoid inhaling the mist. Repeat the application in a week or after heavy rain. Follow the particular manufacturer instructions for application of Btk.